Internet marketers (at least, the successful ones) like to say “The money is in the list.” And they’re right: an email list is the most long-term, successful way to market online, whether you’re an entrepreneur or a small non-profit. The trouble is, they leave with that: there’s no detail on the tech behind a mailing list, or the strategies behind doing it right — and ethically. Email publishing is easy to do …but there are a lot of steps to do right to make it work the way you want, to get the most from your marketing budget (in both money and time spent), and to ensure you’re not branded a spammer. Most businesses, whether they’re online or “brick and mortar” physical locations, have a problem: identifying their best customers, and being able to communicate with those best customers to invite them back again and again. You’re told “get a mailing list” …but no one tells you what service to use, how to set it up, or what to send to your subscribers in those emails — and how often. Randy Cassingham will tell you all of that so that it’s both clear and easy, and won’t take a huge amount of your time, because you have work to do! Why should you listen to Randy? Quite simply put, he’s one of the first people in the world to figure all of this out. He has been an email publisher since 1994, earning millions from his groundbreaking publication, This is True® (among other email publishing efforts). He helped define many of the features now commonly provided by the “Email Service Providers” such as AWeber, MailChimp, Lyris, Constant Contact, and others. 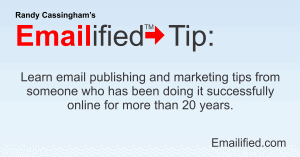 He knows the “Best Practices” for commercial email publications because he developed and modeled them for the industry that sprang up in his footsteps. Go ahead and try to find a teacher that has more experience in email publishing! Randy quit his “Day Job” at NASA’s Jet Propulsion Laboratory in 1996, and never looked back, preferring to blaze his own path in the online world. 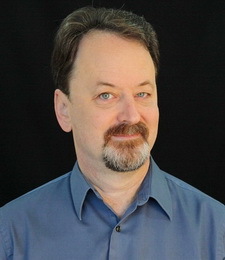 He is the author of 35 books, has been featured in dozens of articles in newspapers and magazines, and has appeared several times on television to discuss his work. He’s truly an online pioneer. While Randy has done many consulting gigs in the past to help businesses get their email publishing efforts up and running, he hates the business travel, and prefers to concentrate on helping smaller businesses that can’t afford his retainer fees. To that end, he is currently developing an online course that you can take from your home or office, and learn how you can take control over your email solution. Very importantly, rather than rely on Youtube, Facebook, or other companies, you will get to “hold the keys” to your list, and be able to reach out to your customers when you want, even if you’re not techie, and even if you’re not a writer. Who Needs a Mailing List? Pretty much, every small-to-medium sized business and non-profit. Why? What Would I Send Them? Lists are for all entrepreneurs who need more business — or think they might in the future. Bloggers may have raving fans, but those fans need reminders to stop by to see new posts! Youtubers know that fans can “subscribe” to their videos, but they may have noticed that Youtube takes forever to let folks know of new videos they subscribe to …and that their new video is lumped in with everyone else’s they subscribe to! Animal shelters could send out a “pet of the week,” and calls for volunteers for projects. Hobby shops, like for knitting, scrapbooking, drones, whatever — wouldn’t it be great to be able to tell loyal customers when there’s something new for them to check out? Chiropractors and other similar health and wellness providers have a great source of material: their own continuing education! Something new came up in a study? Translate the basics into layman’s language and tell your clients! Want to counter the hype on some new vitamin fad? Tell them why the claims are bogus. And, in the meantime, remind them that Thursdays are your slow day, and they can get in quicker that day. It doesn’t have to be complex: just a quick note will do, no more than once a week. In fact, people are generally so busy, they probably don’t want something long and involved anyway: just get to the point and give them a reason to stop by at your web site or physical location. Check out Randy’s articles for tips and tricks on why you really do want an email list (you do if you’re trying to run a business! ), how to get the most out of it, and what you need to know to make a list a true asset to your business, rather than a burden. You can start with the first article, or browse the list of all articles.